Would It Cost To Make a Claim? How To Access Medical Records? In order to pursue a medical negligence case it is important to obtain the medical records of the injured party so that evidence of potential medical negligence can be collated to support their claim for compensation. In the UK you are entitled to get your medical records (with a small number of exceptions) under the Data Protection Act 1998 and the Access to Health Records Act 1990. Each hospital should have clear procedures in place to retrieve these files and as such it should be straightforward to do. To obtain your medical records you will need to make a written request to the hospital or your GP and they will likely require proof of identity as well as a modest fee for retrieval. If the files are computer based you should expect to pay approximately £10 for a copy, if they are manual records the cost can be £50. Alternatively if you simply want to read them and not take them away the charge will be less. It is a legal requirement that the GP or hospital respond to your request with in a maximum of 40 days of the request. 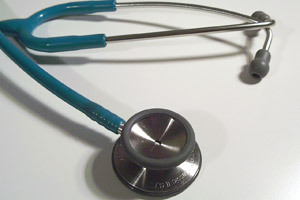 Obtaining the medical records of a someone that has deceased should be conducted in the same manner by the executor, the next of kin, a personal representative or a solicitor acting on behalf of the deceased and the written request should be sent to the records manager at the relevant Primary Care Trust detailing the right of the person requesting the information to the medical records. If you are considering making a claim for compensation due to an injury or illness that was caused by medical negligence you may wish to view the following sections. 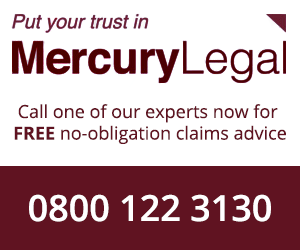 Who can make a claim for medical negligence? Are there time limits for making a medical negligence claim? How much would my medical negligence claim be worth? Copyright © 2019 MedicalNegligenceClaim.org. All rights reserved. Mercury Legal Online is a trading style of Fastrack Legal Marketing LLP, registered in England and Wales, number OC344863. Registered office: Gorse Stacks House, George Street, Chester, Cheshire, CH1 3EQ. Fastrack Legal Marketing LLP is regulated by the Claims Management Regulator in respect of regulated claims management activities; its registration number CRM26759 is recorded on the website: www.justice.gov.uk/claims-regulation. Fastrack Legal Marketing LLP's panel members are solicitors of England and Wales and authorised and regulated by the Solicitors Regulation Authority (SRA) - www.sra.org.uk. The advice they give is impartial and confidential. You are free to choose another solicitor.